New year, new shoes. That sounds about right! 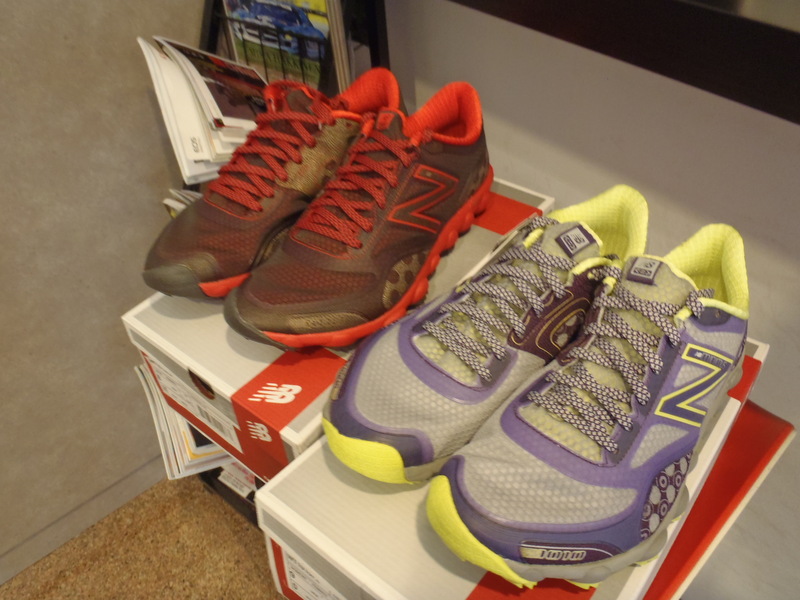 The first new shoes to hit our shelves for 2013 are from New Balance. 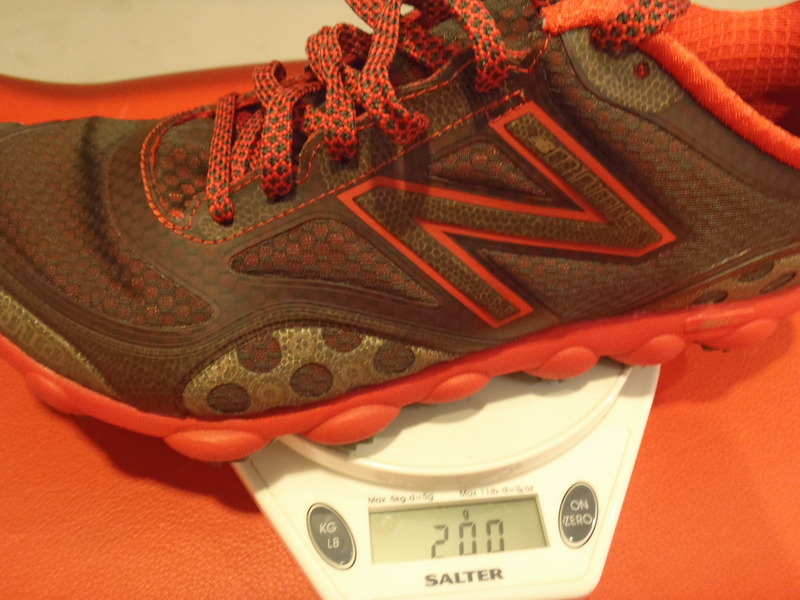 New Balance has been pushing the envelope the last few years. No longer are they known as the “army shoes” here in Singapore. 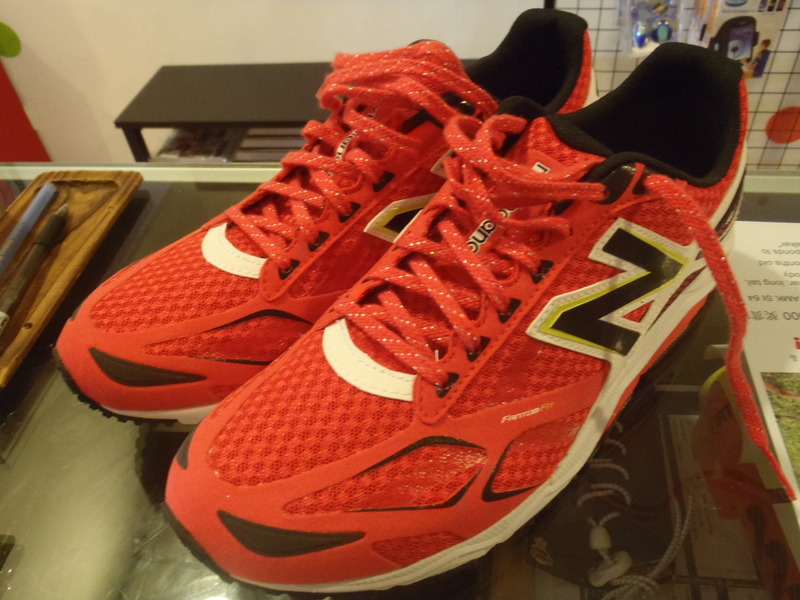 New Balance regularly produces technologically advanced and good looking shoes. Two traditional favourites, the RC1300 and RT1100, are back but with a couple of upgrades. 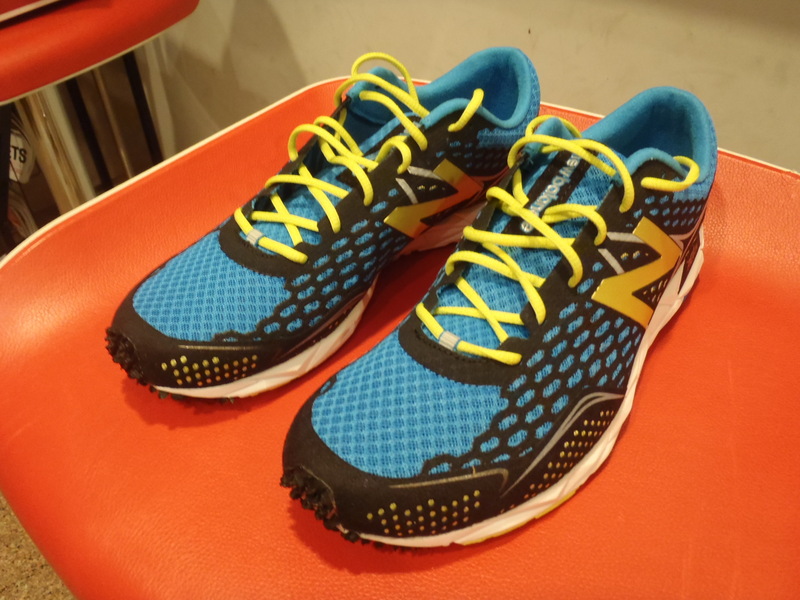 Both models are now built on New Balance’s Revlite cushioning platform which is 30% lighter than traditional compounds but results in no loss of cushioning. Another welcomed improvement is in the upper. There has been a big reduction in the amount of stitching. 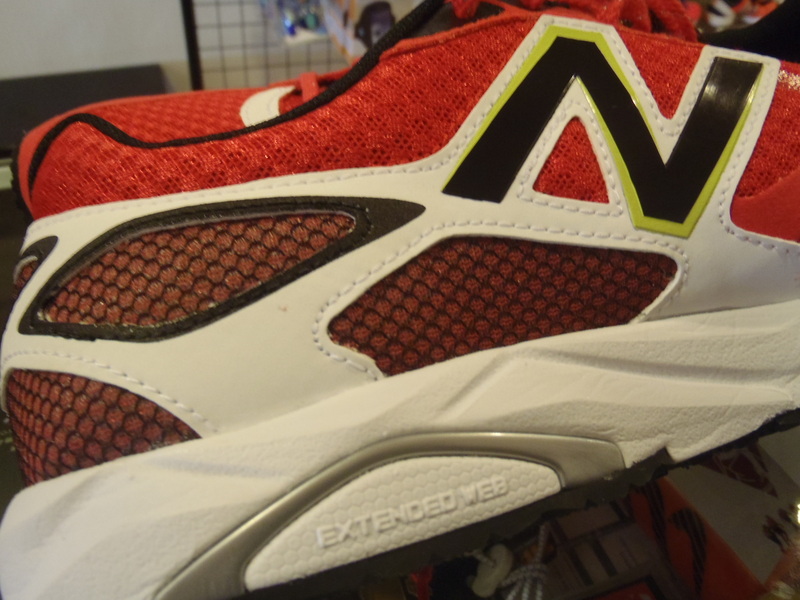 New Balance has instead gone for more breathable mesh paneling and seamless overlays (especially in the mid/forefoot region) that are likely to have been borrowed from the FantomFit upper that we saw on the RC1600 racer. 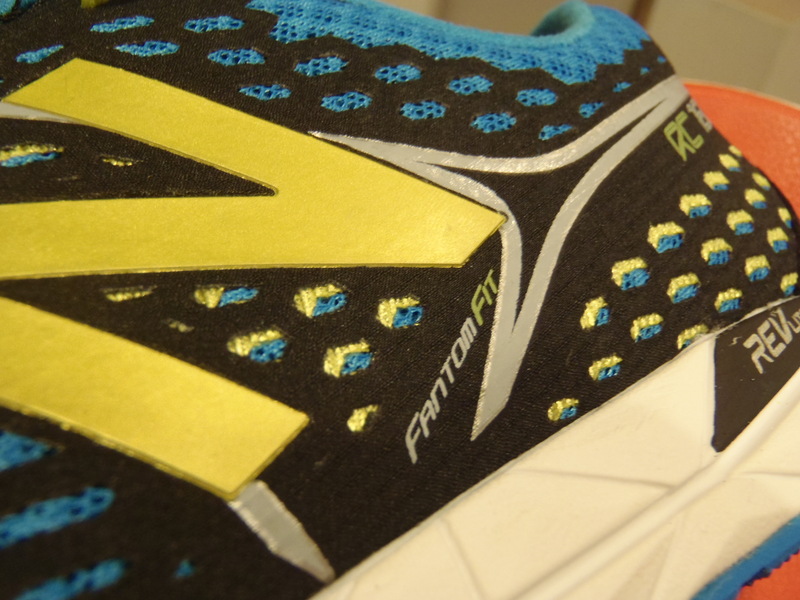 Technical mambo jumbo aside, what this translates to is a significantly lighter shoe with a more comfortable and secure upper. The RC1300 is the Japanese inspired racer while the RT1100 is the versatile, lightweight race-trainer. 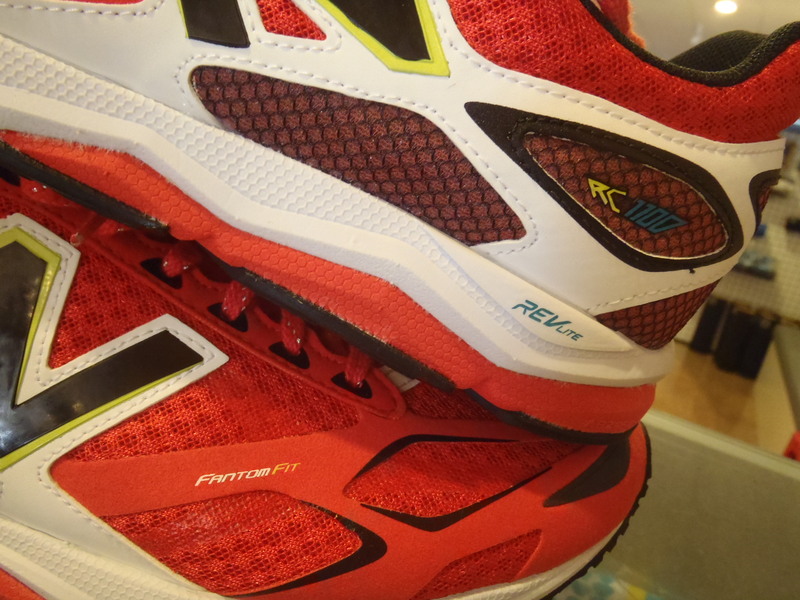 The RC1300 (RRP: $185) and the RT1100 (RRP: $175) are available now at The Runner’s Gait. 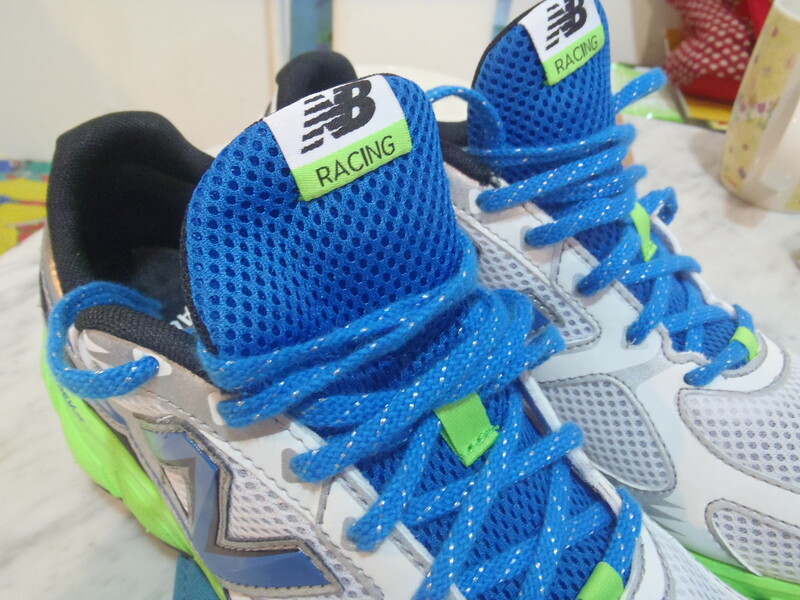 New Balance have released a new colourway to their very popular RC1400 racer. 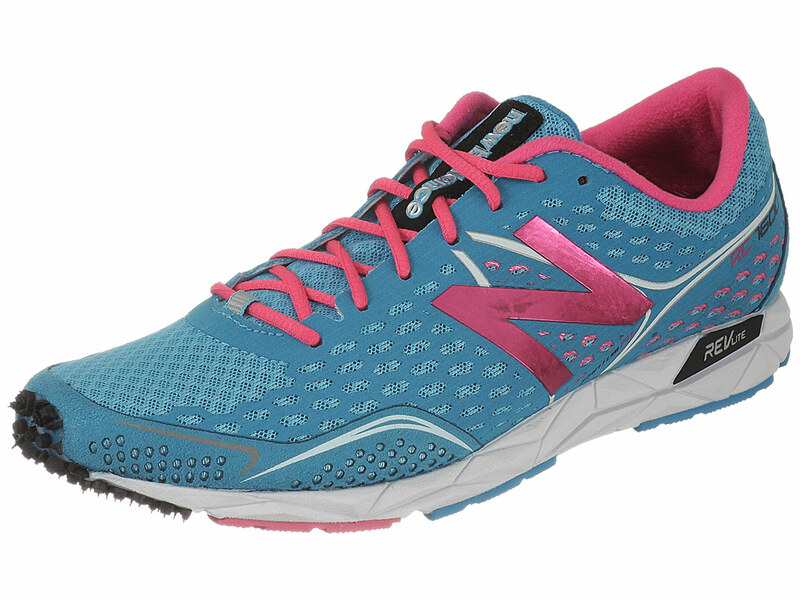 With its ample cushioning and responsive Revlite outsole, this is a great neutral shoe for runners looking for a lightweight trainer or cushioned racer, without an overly aggressive heel drop. 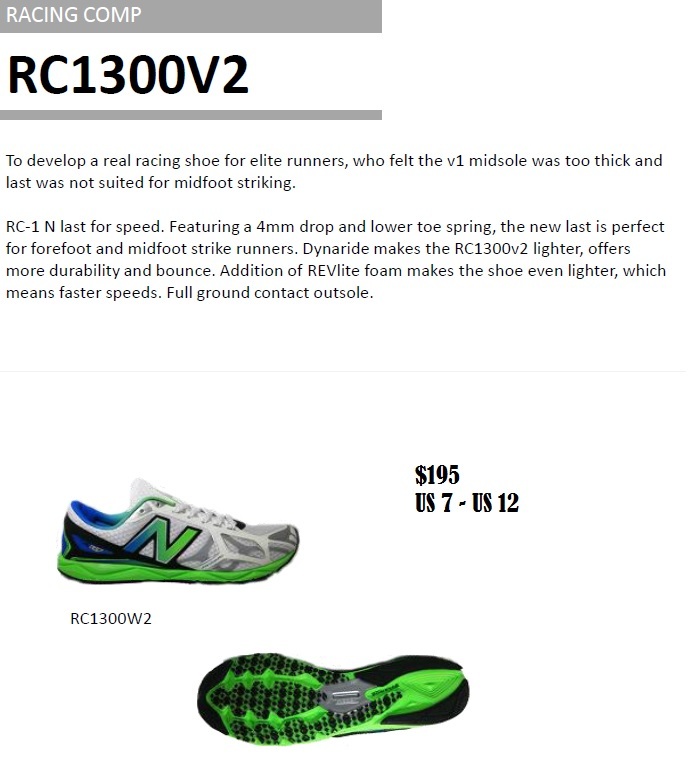 You can read our review of the RC1400 here. 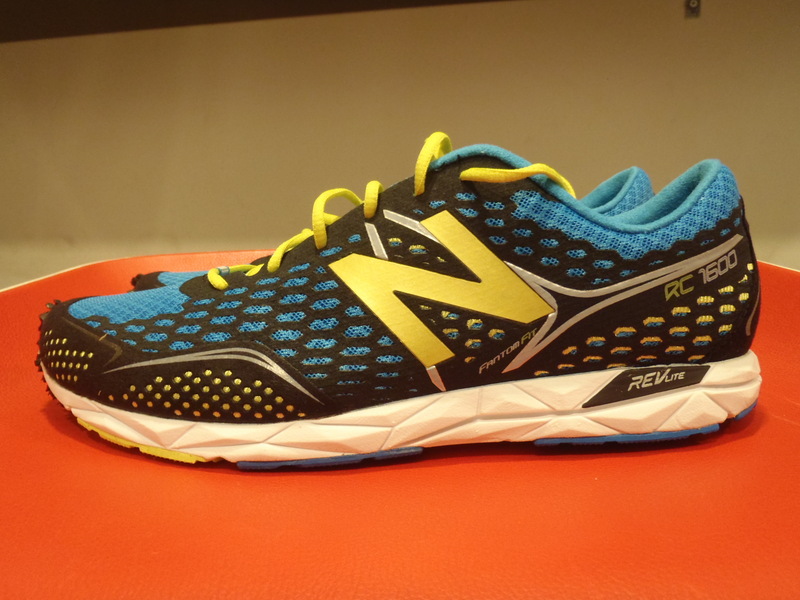 The RC1400 retails for $155 and starts from a men’s US4.0, available now at The Runner’s Gait. 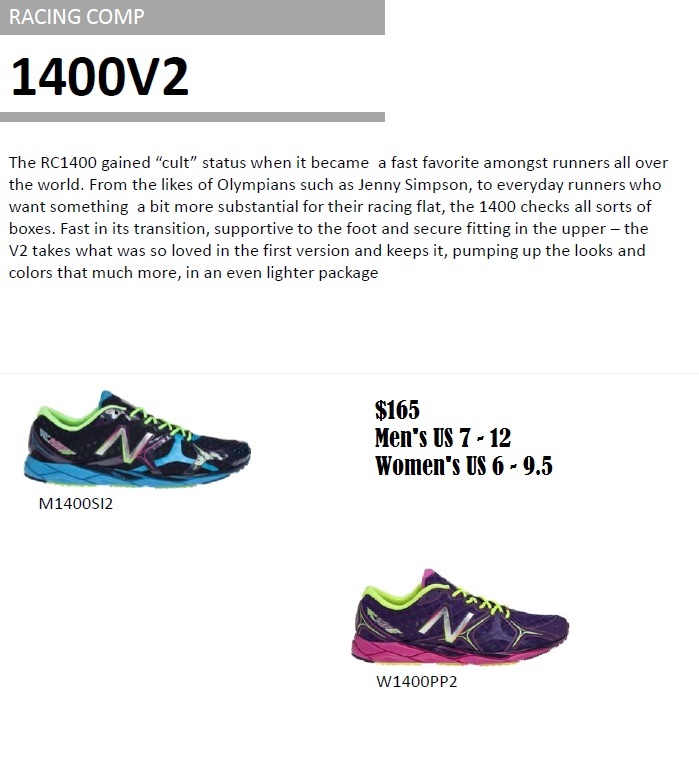 We brought in some smaller sizes, so ladies that a looking for a racer with a bit more cushioning that the RC1600, now have another option from New Balance. 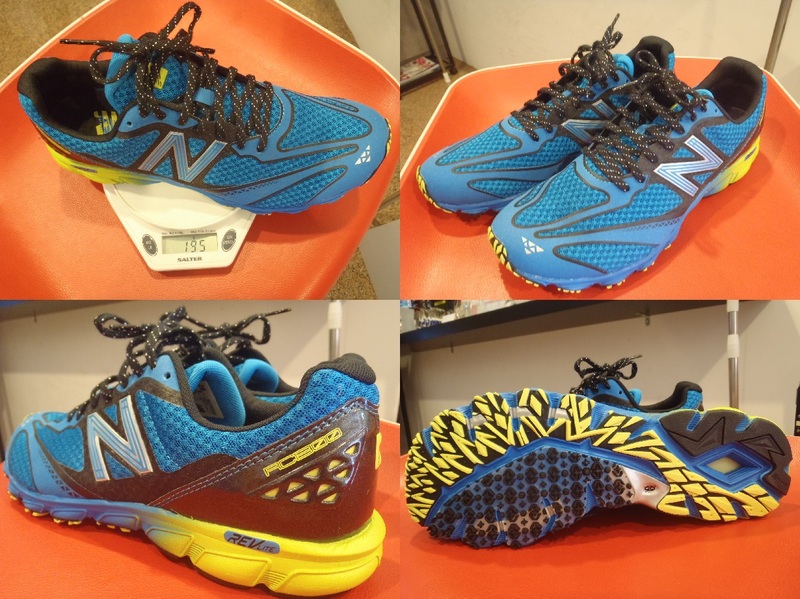 I have wanted to take these shoes out for a try for a while now, but its hard to run around on the trails then put the shoes back in the box without the next customer figuring out that something was amiss. 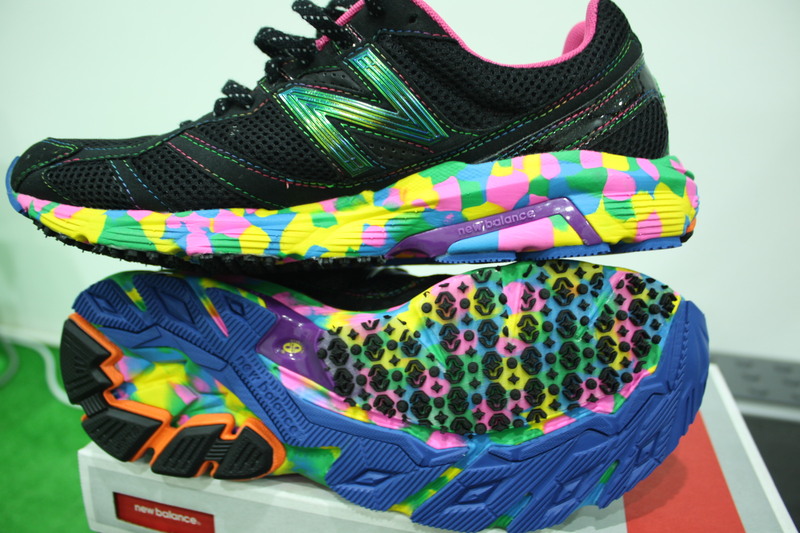 So until I get a pair for myself, I slipped on the Minimus Amp (also known as the MT1010) and did my usual dance around the store and on the treadmill. Fit-wise, the MT1010 is very comfortable and is true to size. 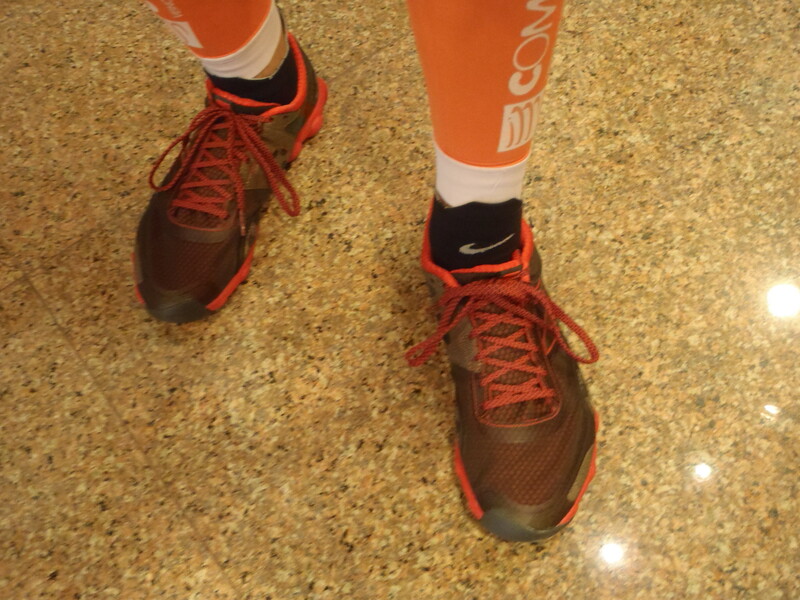 While the midfoot and heel cup are not super snug, they held my foot firmly enough. 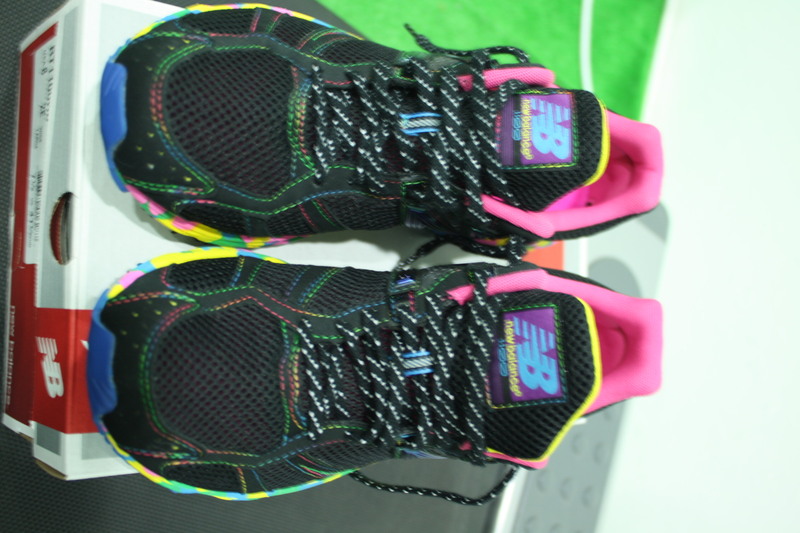 The upper is constructed from a very light, synthetic mesh and features welded seams which add to the comfort of the shoe. 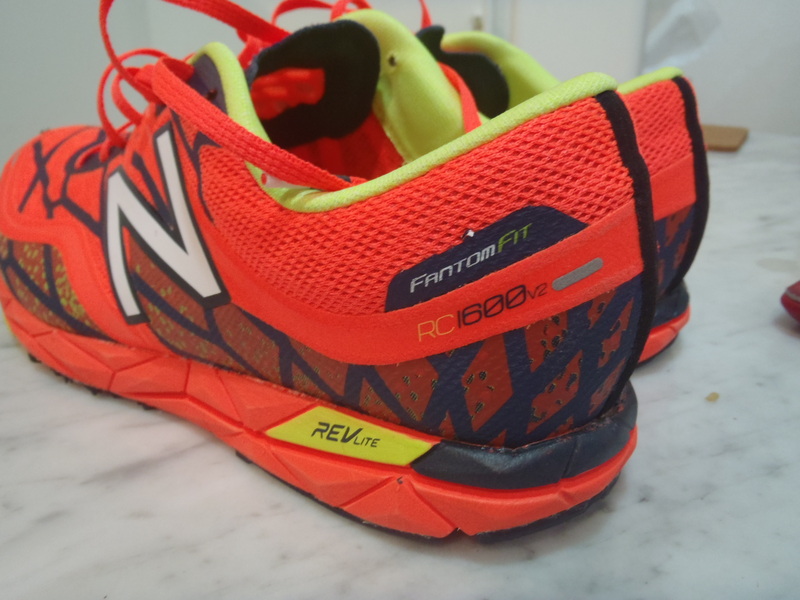 Runners with wide feet will also appreciate the roomy toe box. 200g for a US8…where’s the rest of it? 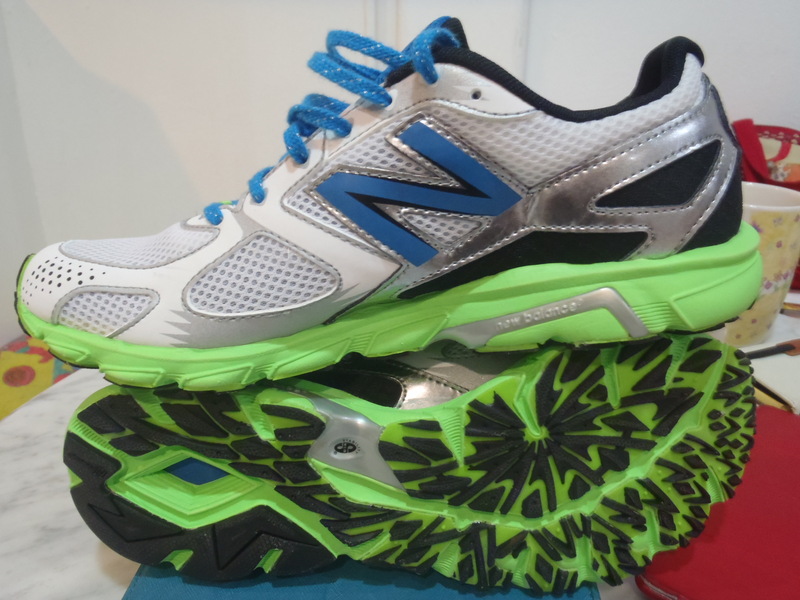 Chances are, this pair of trail shoes is lighter than the current pair of road shoes you’re using. 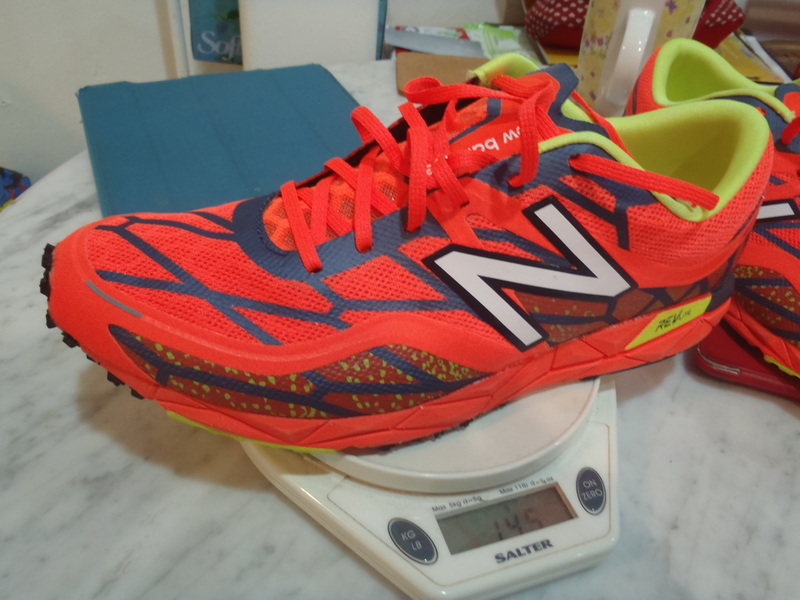 At 200g for a men’s US8, they definitely have that ‘barely there’ sort of feeling. 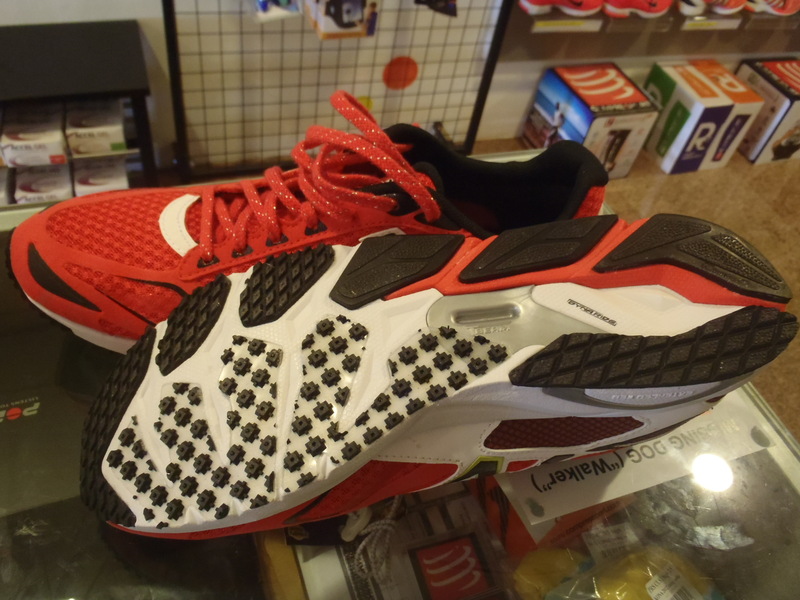 However, the 19 Vibram rubber covered lugs and RevLite midsole deliver increased levels of cushioning over other shoes in the Minimus range. 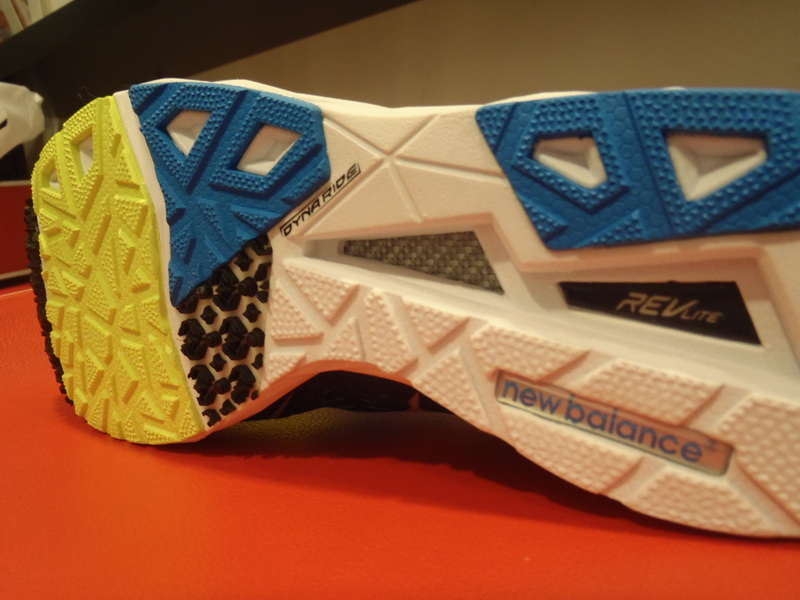 I’ve heard that this added cushioning has been very well received by runners that are do ultra trail. 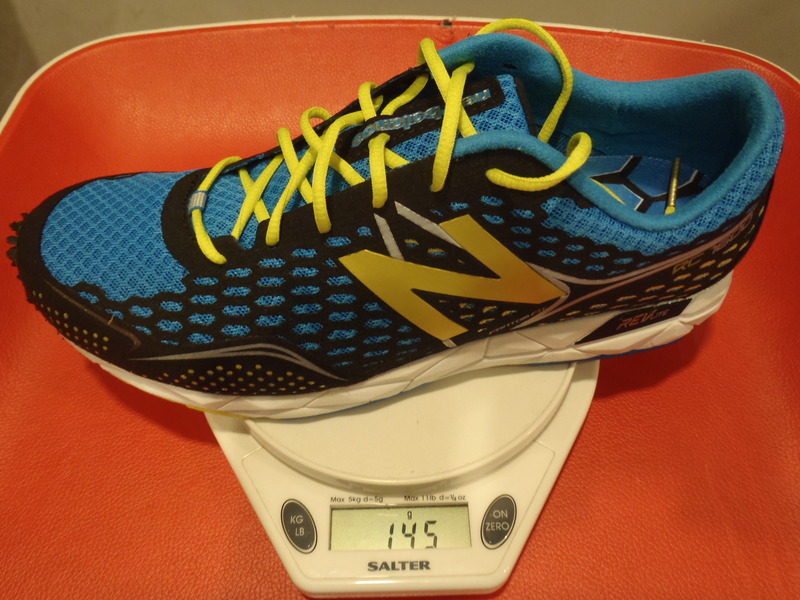 With the 4mm heel drop, the Minimus Amp has a real close to ground feel and is more responsive than some road shoes I’ve tested in the past. 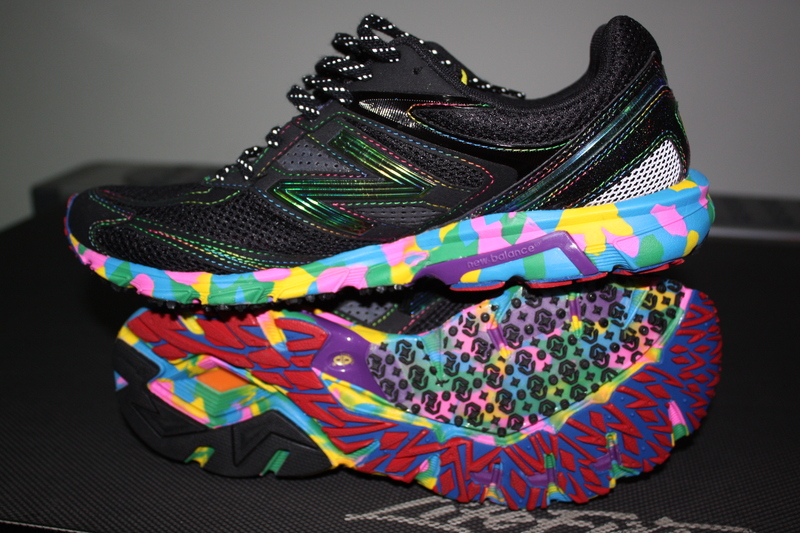 Running on the treadmill, they felt light and nimble, and will go far to breaking the stereotype of trail shoes being clumsy and chunky. My only complaint so far is with the unnecessarily long shoe laces on this thing! The MT1010 has a rockplate that is surprisingly responsive and flexible. 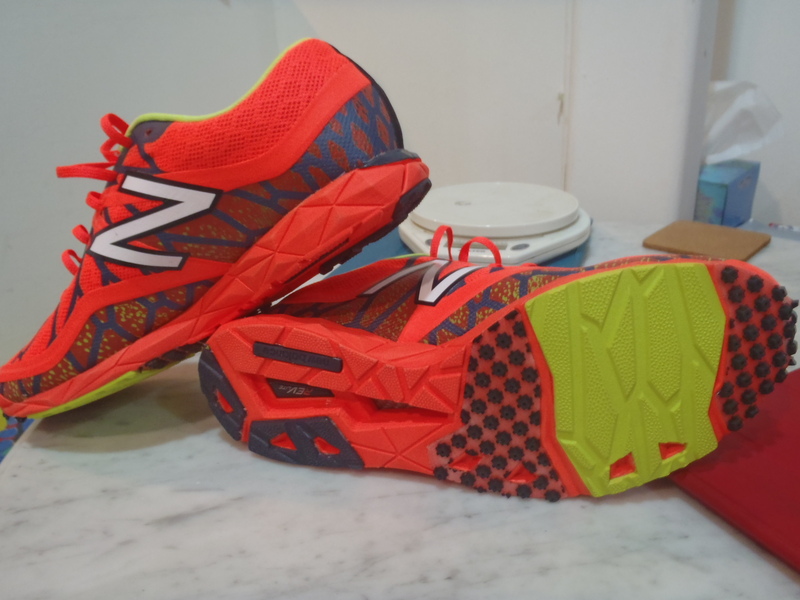 I’m very keen to try these out on the trails and see if they provide enough cushioning and protection for the novice trail runner like me! A trail update to follow. 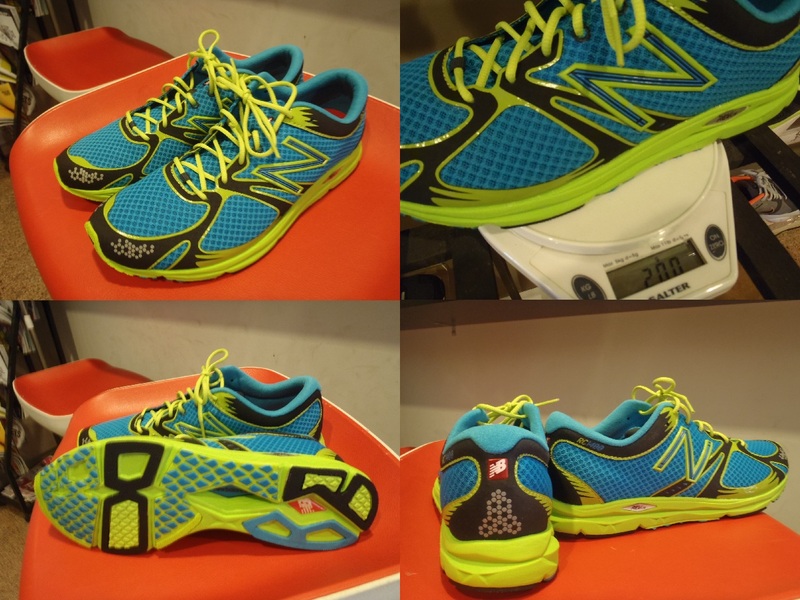 You can pick up the Minimus Amp (MT1010) at The Runner’s Gait now for $165. 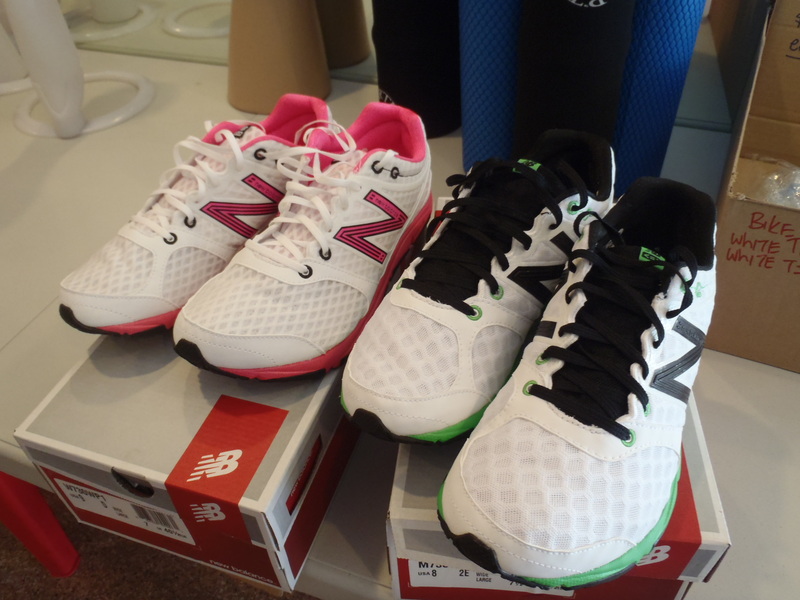 We’ve got some new shoes from New Balance for this season, yay! Details and reviews to follow! 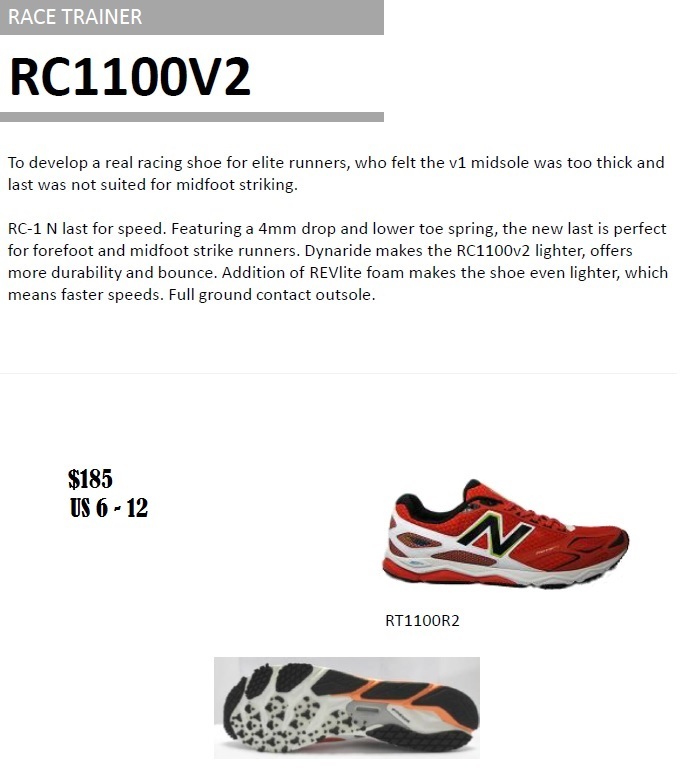 We actually got 2 shoes from the Black Rainbow series by New Balance delivered today – the RC1300 and the RT1100. Since this is the first time the RT1100 has hit our shelves, I’ll do the review on them instead. But I have worn both pairs of shoes, so I will point out what I think are the differences between them along the way. And we’re off! 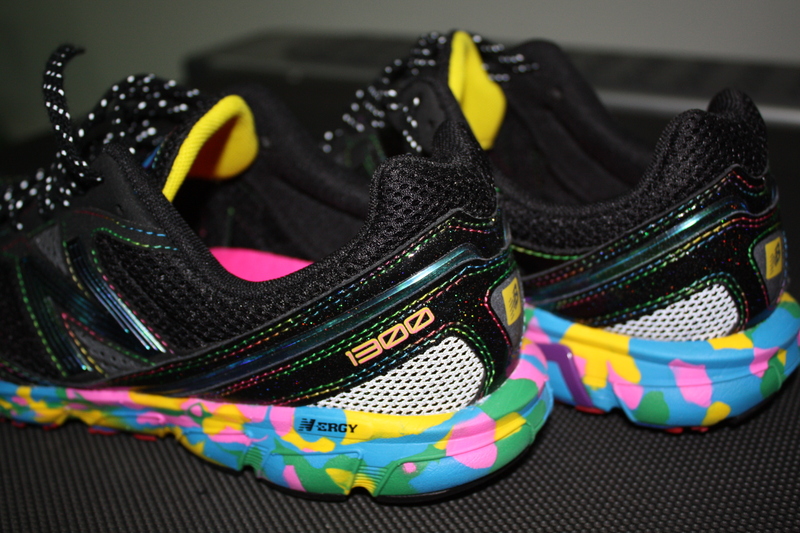 You can be sure that these shoes are head turners. 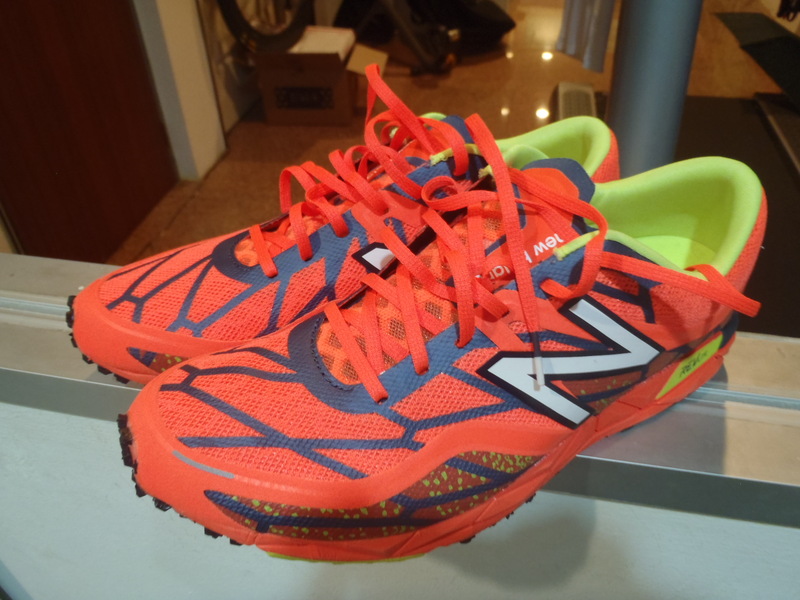 Don’t just rely on your running speed to be noticed, throw a pair of these on! 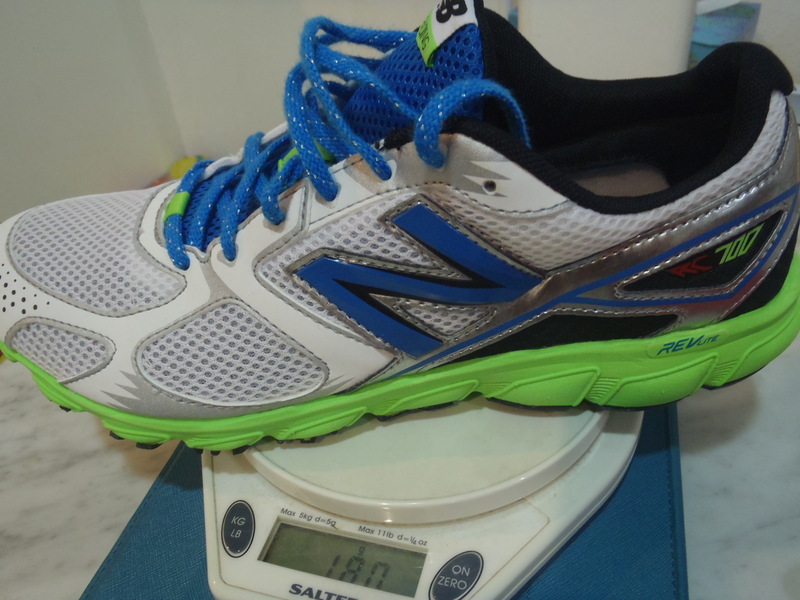 The RT1100 weighs in at 200g versus the 195g RC1300 in a men’s US8. 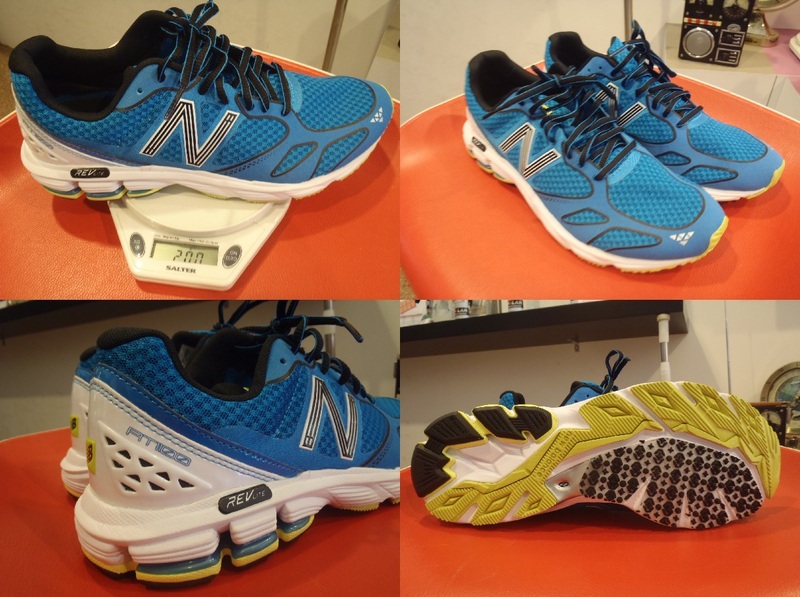 While the weight difference will go unnoticed (both are pretty light anyway), the extra 5g gives the RT1100 substantially more cushioning. You aren’t quite as close to the ground in the RT1100, but responsiveness is good and the ride is smooth. 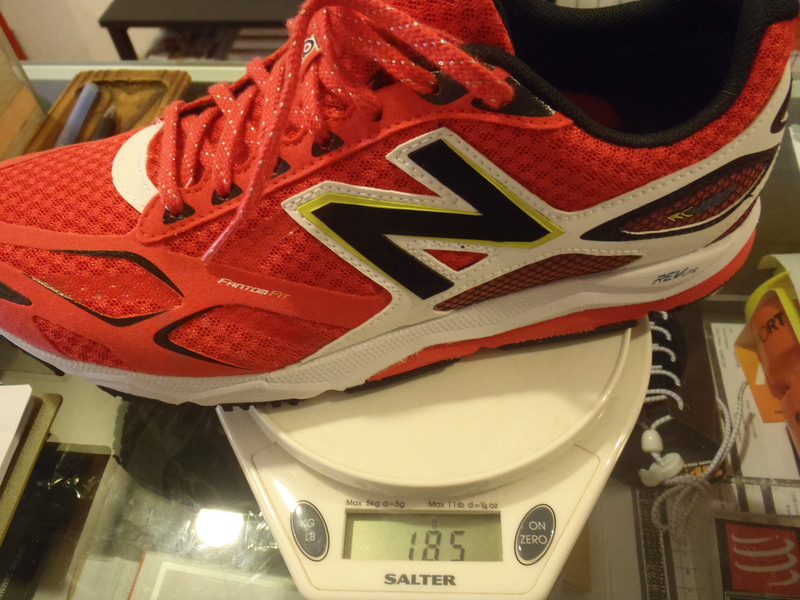 I felt the shoes were true to size. 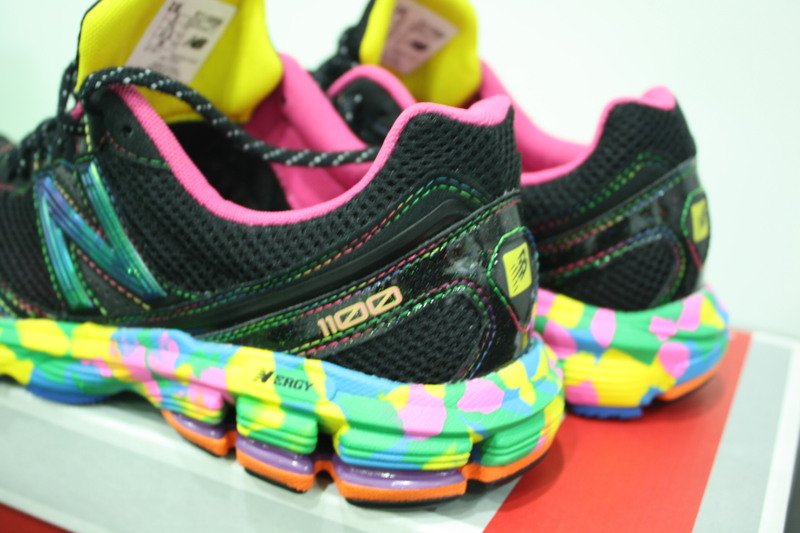 The RT1100 has a roomy toe box with just enough wiggle room for your toes and a quick tightening of the laces locks the midfoot down well. They are comfortable but I would have liked a more secure heel counter, just for those really fast paced days. The Stability Web provides an extra hint of support and will help put the minds of mild overpronators at ease! 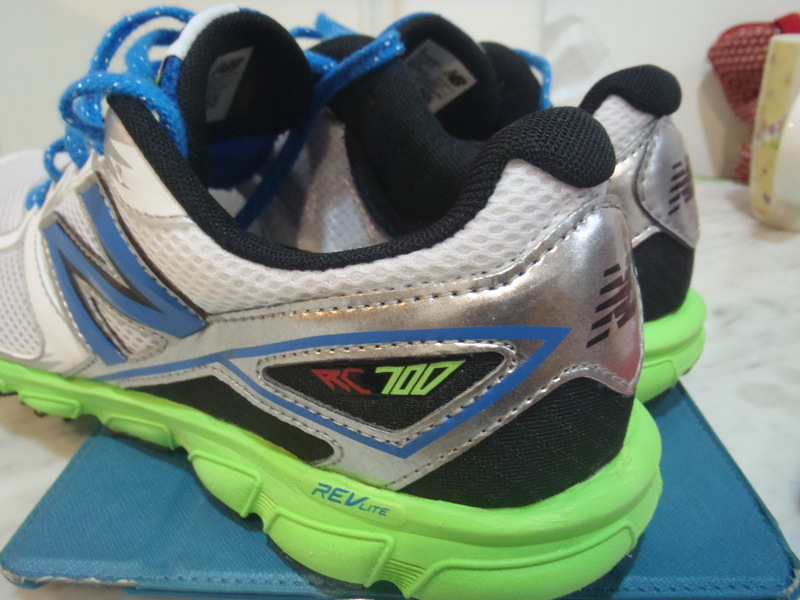 The RT1100 has all the toolings of a racer but with enough support and cushioning features for it to be used extensively for training. Not ready for a “racer”? Or looking to move on from heavier daily trainers? The RT1100 should definitely be on your radar. 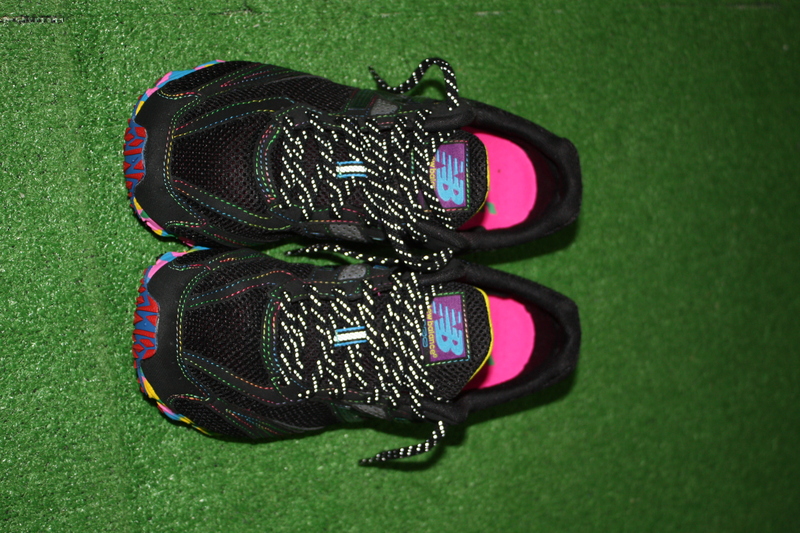 If nothing else, the Black Rainbow series of shoes is a cool looking shoe to wear when you’re hanging out at your favourite running store (that’s us!!) or grabbing a coffee. 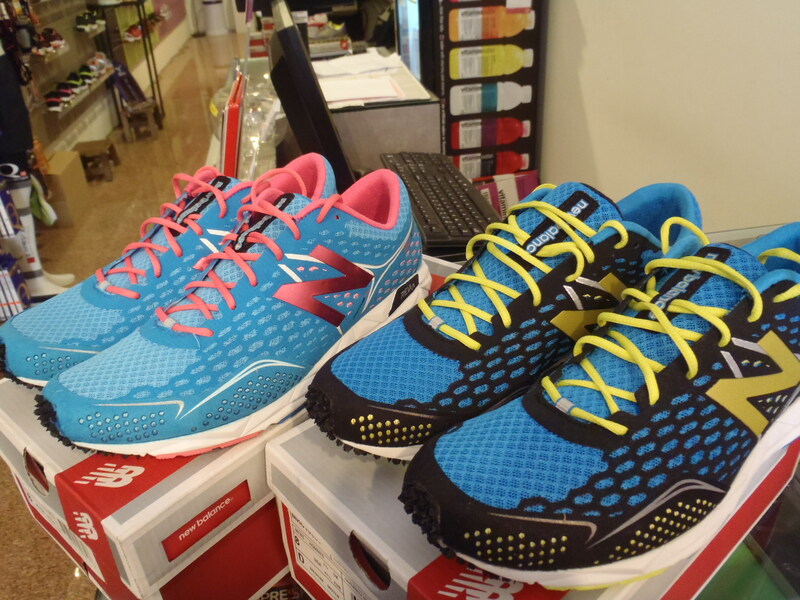 The RC1300 and RT1100 are unisex shoes and are both available now at The Runner’s Gait!